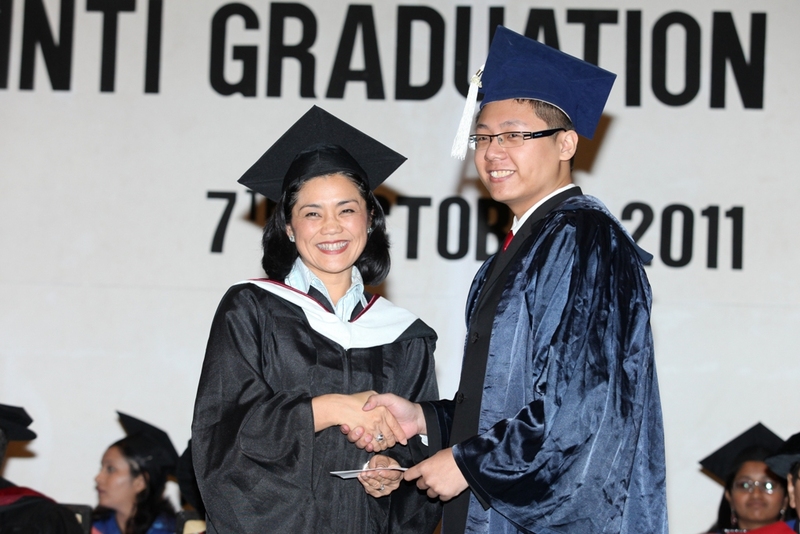 Joining the ranks of over 45,000 Northwood University and 55,000 INTI alumni active in a global, free-enterprise society and eager to effect positive change with determination and skills is INTI International College Subang (IICS)’s graduating Class of 2011. 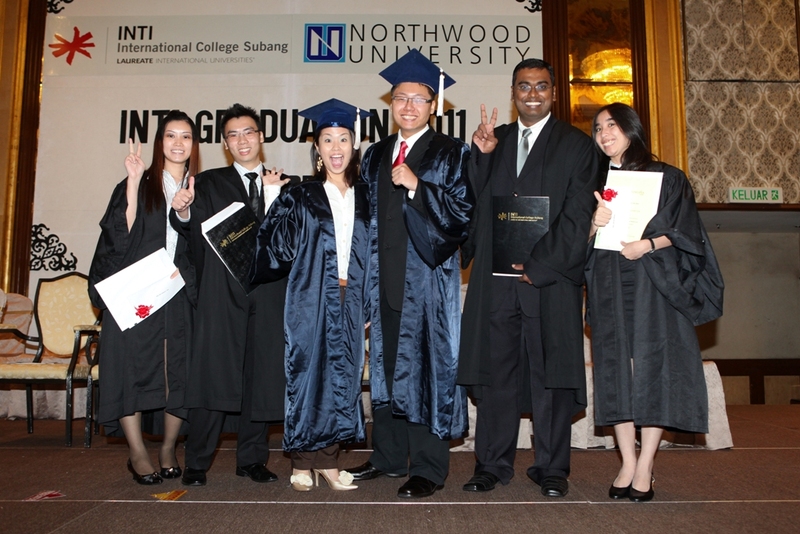 Awarded with prestigious degrees from one of the best Business Specialty Schools in the USA, IICS graduates of the 4+0 Northwood University Program represented a new generation of high achievers honed in an environment that fosters education, enterprise and character by bringing academic credentials and real world business experience into the classroom. The commencement of these graduands alongside students of INTI’s Diploma in Business, Engineering, IT and Mass Communication programmes marked the second graduation ceremony exclusively for IICS since it become part of the Laureate International Universities network in 2008. The ceremony at Grand Dorsett Subang Hotel also saw the participation of INTI’s industry partners and associates, including George Kent, Microsoft, Padini, Prime Works Studios and Ricoh, who presented their industry awards to high achieving graduates. The George Kent Most Outstanding Student Award for Diploma in Engineering, Microsoft Most Outstanding Student Award for Diploma in Information and Communication Technology, Padini Most Outstanding Student Award for Diploma in Business Administration, Prime Works Studios Most Outstanding Future Media Icon Award for Diploma in Mass Communication and Ricoh Most Promising Young Leader Award were presented to M. Balasubramaniam a/l Muniapan, Choon Yap Yee, Mak Jun Kiat, Lim Su Wern and Wong Sook Ping respectively. Thor En Hao was recipient of the University Prize for Outstanding Achievement awarded by Northwood University while Chan Kian Nam received the University of Hertfordshire’s Academic Achievement Award. Thor En Hao (right) receives the Northwood Outstanding Student Award from Mamiko Reeves, Interim Dean, International Programs & Director, International Education, Northwood University. Award recipients: (from left) Choon Yap Yee, Mak Jun Kiat, Wong Sook Ping, Thor En Hao, M. Balasubramaniam a/l Muniapan and Lim Su Wern.